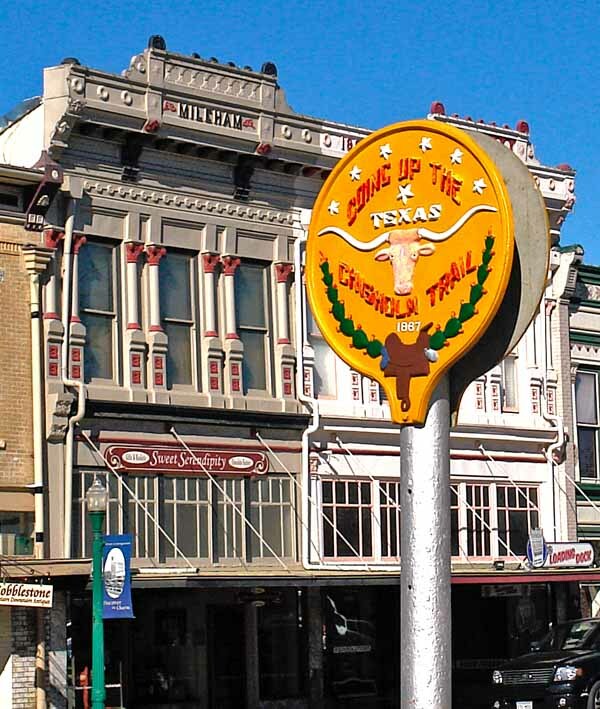 Georgetown, Texas is a great small town (20 miles north of Austin) founded over 160 years ago at the fork of the North and South San Gabriel river. Georgetown, Texas lies between the lush fertile farmland (blacklands) to the east and the hill country ranch land (Balcones escarpment) to the west. 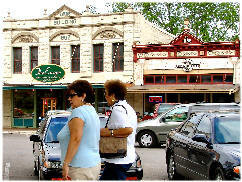 The city was established in 1848 as a trading center for the surrounding agricultural area. Much of the town has been preserved through participation in the Main Street Project and the with the help of the Georgetown Heritage Society. With the hard work of Georgetown's dedicated, citizens we can now enjoy the wonderful history that has been preserved for us. 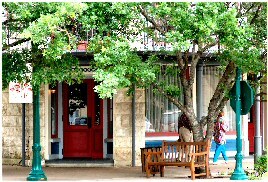 view "The founding of Georgetown"
Georgetown, Texas is a town of Victorian-era storefronts, antique streetlights and brick walks lining shaded downtown streets. 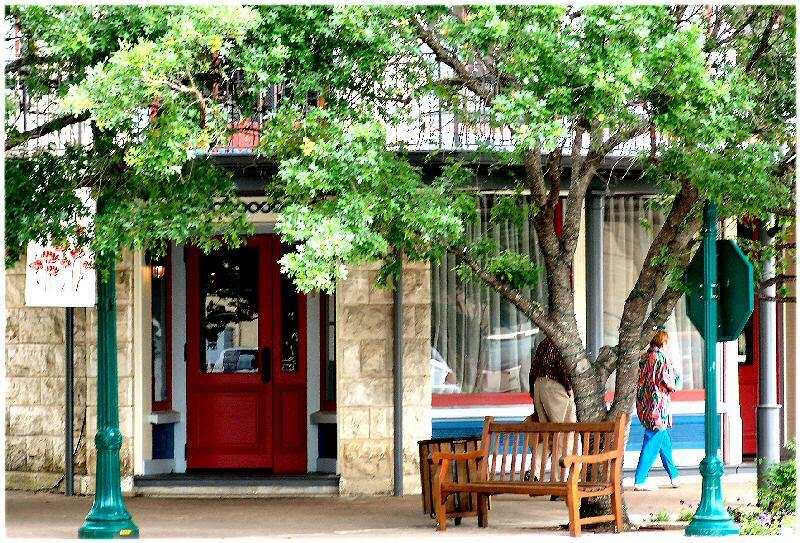 More than 180 National Registered Historic homes and buildings showcase its eclectic blend of past and present. This website tries to capture this history with photographs of these historical sites. Please peruse our web pages of Buildings, Churches, Homes and historical locations. 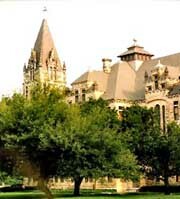 Southwestern University, founded in 1840, is also located in Georgetown Texas. 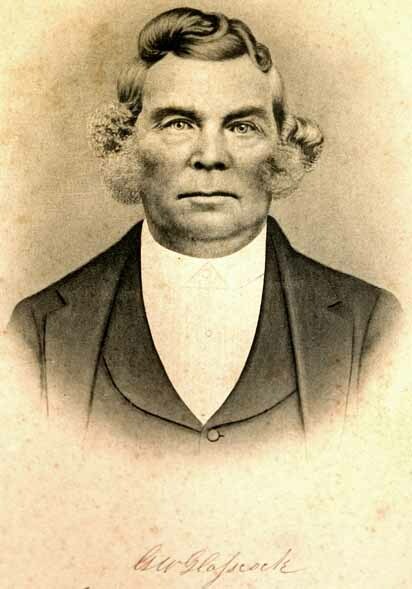 A story relayed to historians - Washington Anderson, tells of Georgetown’s beginnings. Anderson and the four other men assigned to the task of locating a county seat were enjoying a brief respite under a large oak tree, when Anderson’s cousin and prodigious landowner, George Washington Glasscock, Sr., (view photo) rode up on his mule. Sensing a quick solution to their task, Anderson spoke up, “George, if you’ll give us all the land between here and the San Gabriel River, we’ll make this the county seat and name the town after you.” His cousin agreed, promptly donating 173 acres, with his partner Thomas B. Huling. 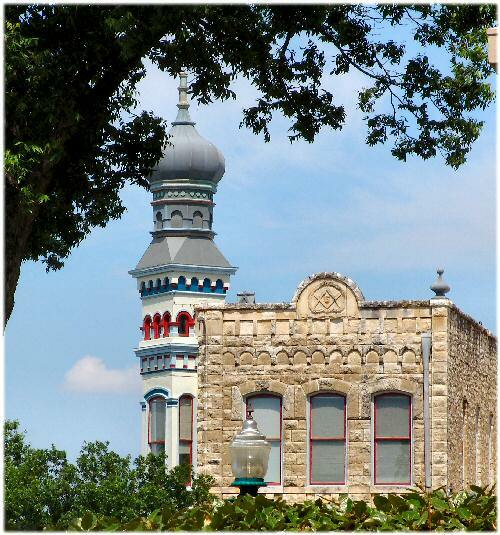 Georgetown,Texas is the county seat of Williamson County, which was formed on March the 13th in the year of 1848. After the early settlers petitioned the State Legislature to create it out of Milam County. But for Three-Legged Willie the county could have been named "San Gabriel" county. It was finally named after Robert M. Williamson aka Three-Legged Willie a Texas statesman and judge at the time. The frontier days of Georgetown were rough. Streets were either dusty or muddy with horses, buckboards, and wagons kicking up dust or making mud ruts in the streets. People walked on board sidewalks (if they were lucky) to stay out of the droppings and mud on rainy days. (Enjoy "Muddy Streets" Narratives from the Georgetown's Yesteryears Book). Early Georgetown (1850 to 1870) was on agriculture. Most people worked and lived an agrarian lifestyle on small farms and ranches growing staples and livestock. The early settlers that migrated to Georgetown came mostly from our southern states and Europe, which included a large influx of Swedish immigrates. With the arrival of railroads in 1878 Georgetown was changed forever. Now cattle could be moved by rail and by 1890 cotton became an important cash crop that could now be shipped easily to eastern markets. Goods could now be transported quickly by rail from all over the country to local stores which helped fuel the local economy. Part of Georgetown's economic, cultural, and architectural development came impart from the decision by the Texas conferences of the Methodist Church to consolidate their schools in Georgetown. The city lobbied for the Texas University and 2 years later was renamed South Western which opened in 1873 (and later became Southwestern University). Georgetown became an early educational hub and enjoyed an influx of educators and families seeking a better education for their kids. Part of the city's growth was also do impart because it was the county seat. The population and wealth of the county increased in the late 1800s and so did the city's fortunes. 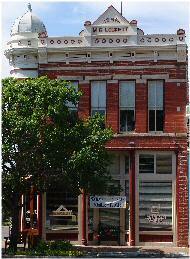 The county began constructing an elaborate Victorian courthouse in 1878 which helped the downtown businesses grow. 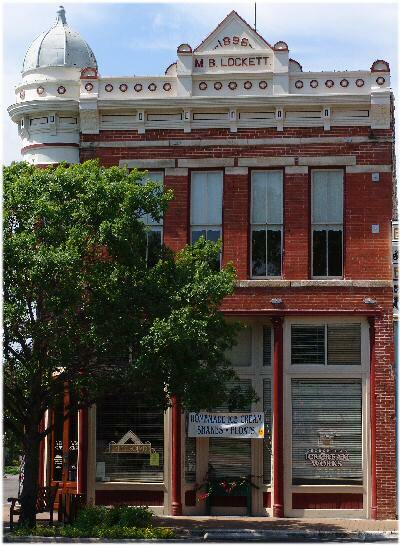 The 1878 courthouse was later replaced by a larger courthouse in 1911 (view Williamson County Courthouse history). 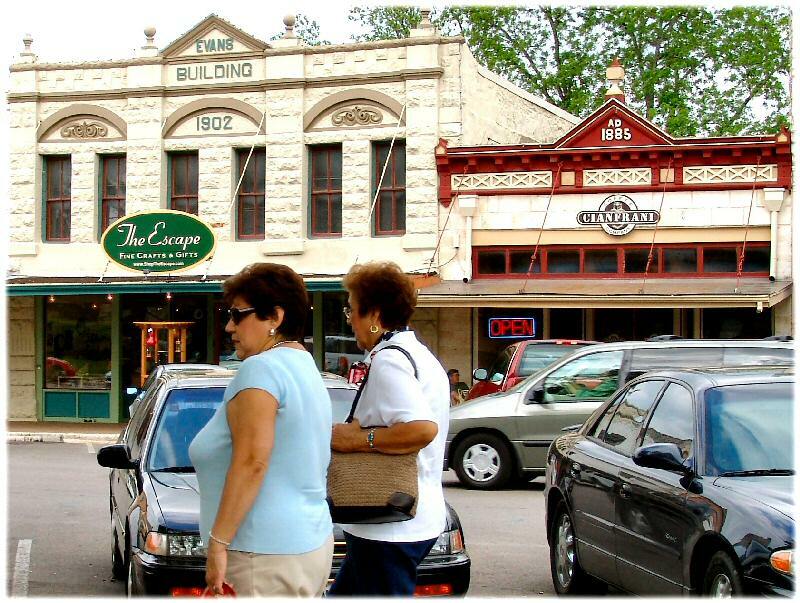 With the advent of automobiles Georgetown started to pave the downtown streets and add sidewalks which improved the downtown commercial district. The little town was growing up.